What is an International SIPP? International SIPPs are an extension of UK self invested pensions. Personal pensions were introduced by the UK government in the mid-1980s in order to encourage individuals to save for their retirement. Most Personal Pension plans were offered by insurance companies. Although such schemes are well structured, plan-holders are often restricted to a small range of funds operated by insurance company investment managers. 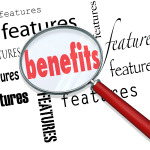 What are the benefits of an international type SIPP? Self-Invested Personal Pensions (SIPPs) are a more flexible type of personal pension whereby plan-holders are able to invest in a much wider range of investments and therein not restricted to those offered by one single insurance company, mutual fund manager or bank. There are few differences between International and UK SIPPs. The structure is similar in that they are both UK pension plans; there are however differences in terms of flexibility. How do International SIPPs work? International SIPPs were developed to cater for the overseas demand for pension transfers where a QROPS isn’t either appropriate or necessary. Providers modified their systems to enable clients to denominate their investments in additional currencies, as opposed to just Sterling. A key requirement was that SIPPs needed to be relevant to the currency the individual is earning or will eventually be spending in retirement. International advisers are invariably better placed to help with local tax issues that need to be considered. In some cases, such as the implications of Dual Tax Treaties and general tax rates, this advice will be offered as part of a financial planning package. In other more complex cases, an international adviser will be able to direct expats to suitably qualified local and/or international tax advisers. By the same token, international SIPP providers are usually more conversant with expat financial planning and taxation issues. They therefore tend to provide products and services which reflect that difference. 3. What are the benefits of International SIPPs? International SIPPs offer a wider range of investment funds which are more globally focused. This is in contrast to domestic SIPPs, where fund choices are more limited to the UK and are also denominated in Sterling. It is important to note that international SIPPs are based in the UK and qualify for tax relief in the same way as UK SIPPs. This means that if someone transfers into an international SIPP whilst abroad, then returns to the UK for either a short time or permanently, normal pension contributions can be made individually and/or by a new employer. 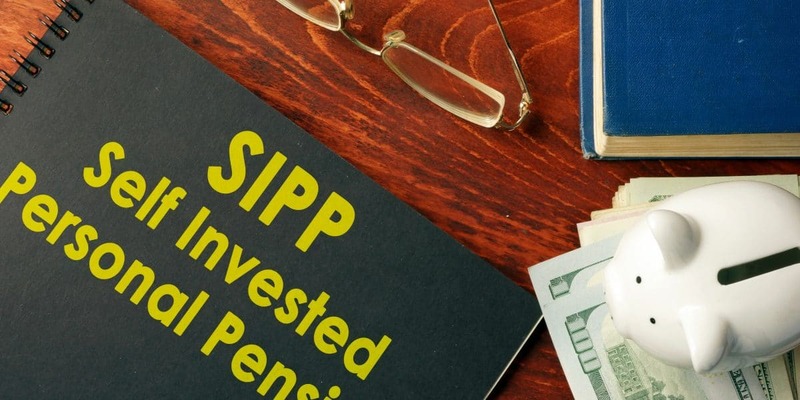 SIPPs are an ideal way of consolidating the various personal pensions that individuals accumulate during their working life. Such consolidation reduces administrative complications further down the line. This is true for both international and UK SIPPs, although arguably more important to expats. Care must be taken when constructing a portfolio. Exposure to risk can change as conditions alter. Regular reviews and monitoring are essential to ensure your investments always accurately reflect your personal situation and financial objectives. Most SIPPs include establishment fees and administration fees. International SIPPs can be set up for under €400, with annual management fees of up to €600 depending on the provider. Mutual funds, shares and other assets can be accessed via offshore life insurance bonds at relatively low cost. Your SIPP can be transferred into another plan if desired. Similarly, different types of pension schemes, such as Defined Benefit plans can be transferred in to your SIPP. If you have lived abroad and hold a QROPS, this can also be transferred into a SIPP if and when you decide to return to the UK. The Lifetime Allowance is the maximum value of your pensions before a 25% tax is imposed by UK tax authorities. At present this tax is levied on the excess over £1m when benefits are crystallised. There are strategies available which can help reduce tax liability, including applying for individual or fixed protection. It should be noted that these options do not remain open forever. For those with funds approaching the LTA limit, it is important to consider your options as soon as possible. 25% of a SIPP can be withdrawn as a Pension Commencement Lump Sum (PCLS), tax free if you are a UK resident. The residual fund would then provide an income which would be taxed in accordance with your status at the time of retirement. Pension freedoms legislation was introduced in the UK in 2105. Individuals can now draw down their retirement funds under flexible access rules at whatever level of income required. It should be noted that any money drawn down will be taxed as income at your highest marginal rate after the PCLS has been used up. A combination of income and PCLS can be opted for. It is important to ensure that you are fully aware of the tax consequences in your country of residence before accessing your pension. SIPP holders can begin taking benefits at any time between age 55 and 75. Any residual fund can be passed to your beneficiaries’ tax free on your demise up to the age of 75. After that time, they will pay tax at their marginal rate of income tax. Whilst Self Invested Personal Pensions (SIPPs) offer a flexible and tax efficient way of saving for retirement and supplementing state pensions, policy holders should be aware of any ‘downsides’. 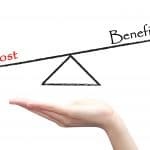 With careful planning, many of these disadvantages can be countered. However, it is also true that there is often no way of avoiding certain issues. Few people work for the same company for life these days. The effect on retirement planning is a gradual fragmentation of pensions as individuals pick up different pension plans from the various employers they work for. This makes administration more complicated as people have to deal with different providers both whist accumulating funds and being paid benefits. This problem can be solved by consolidating all pensions into one easy to manage alternative. Expats often hold a series of Sterling invested SIPPs and personal pensions. This can be a significant risk for those not retiring in the UK. We have witnessed such risk exposure at various times in recent years when the pound has come under pressure and devalued. A more flexible approach is available whereby the SIPP holder can either change to the currency they will eventually spend in retirement or create a natural hedge by diversifying currency holdings. Whilst accumulating pension funds, it is important to review and be prepared to change investment strategy. If markets appear to be over-valued, you might consider de-risking and sheltering your funds from potential falls. As time passes, your risk profile will probably change, in particular just prior to taking benefits. 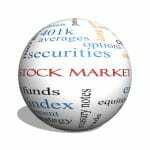 No one wants to be hit by a sudden market correction just before retiring with a portfolio invested in high-risk sectors. Solutions include taking personal control and switching into lower risk areas in order to protect the capital value of your fund, or investing in ‘lifestyle’ funds which do this automatically as you near pension age. Both International SIPPs and QROPS (Qualifying Recognised Overseas Pension Schemes) have similar characteristics allowing the individual a more flexible approach to the management of their existing UK pensions. In terms of suitability, a QROPS is generally more appropriate for those with larger pension pots. A QROPS can help protect against future tax liabilities for those nearing the UK Lifetime Allowance (currently £1 million). The QROPS is in the EEA and the Member is also resident in an EEA country. The QROPS and Member are in the same country or territory. The QROPS is an employer sponsored occupational scheme, overseas public service pension scheme or a pension scheme established by an international organisation.